The Nautie Network: "To Inspire...To Challenge...To Win"
The Nautie Network is a lifestyle blog for stylish, ambitious, multicultural women. We believe that a “Nautie Girl” is the character and strength that lies within all women! She is “No-nonsense, Ambitious, Undeniably Talented, Intelligent, & Empowered!” She is extremely hard working but knows how to have fun. She’s focused, goal oriented, and most importantly she knows her worth. She knows that there are no limitations to what she can accomplish. She also refuses to settle for what “life” maybe trying to hand her. Instead, she aspires to reach her fullest potential and to create the life that her heart desires! To empower women to achieve financial independence through entrepreneurship! 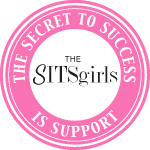 We aim to do so, by providing an environment that will help to inspire, motivate, and challenge women to overcome any obstacles in their path to focus on achieving their dreams within the fashion, beauty, entertainment, and business world. On this site you will find numerous business resources, events, and employment opportunities within the above mentioned fields. We’re also seeking out the best fashion and beauty tips, shopping deals, product reviews, brand launches, and fashion news to help you put your best foot forward! We will also feature interviews with the powerful forces behind some of today’s up & coming, creative, and successful businesses. We’ve asked these women (and men) to share their personal trials, triumphs, and influences while navigating through their incredible journey’s as entrepreneurs. We know that their stories will motivate and inspire you as much as they have us. So join us for a daily dose of inspiration, encouragement, knowledge, entertainment and glamour! Conceptualized by Tracy Thompson, The Nautie Network was founded specifically to create a sense of sisterhood to enlighten, encourage, and empower each other in our efforts to succeed! The Nautie Network is licensed under a Creative Commons Attribution-NonCommercial-NoDerivs 3.0 Unported License. Permissions beyond the scope of this license may be available by getting in touch with us here.